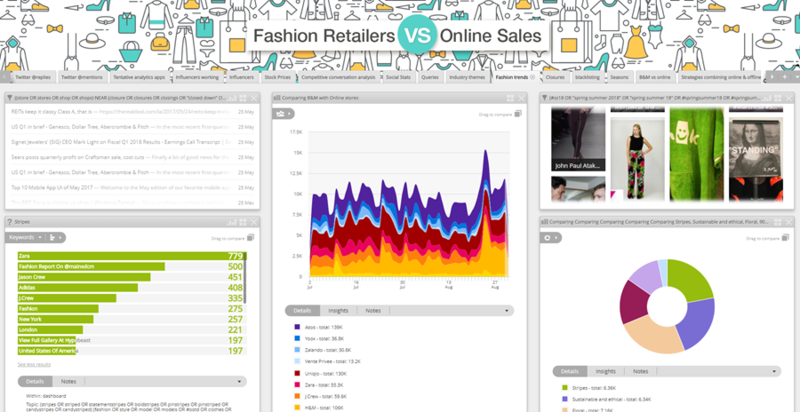 Webinar: How can retailers leverage the proliferation of online fashion sales? The unmissable Netvibes Webinars continue! Join us for the next installment where we will use Dashboard Intelligence to analyze the data and show you how retailers can leverage the proliferation of online fashion sales. How has the surge in online sales impacted traditional fashion retailers? What are the expectations in online and offline customer experience? You’ll also have an overview of the key upcoming fashion trends ! Can’t attend live ? You should still register ! We’ll be sending the recording after the webinar to all registrants. Attendees can also receive a complimentary Fashion Insights Assessment session and trial dashboard access with no commitment.